According to the findings of annual survey commissioned by the National Retail Federation (NRF) of the US, and conducted by Prosper Insights & Analytics, Americans are expected to spend a record amount on Valentine’s Day this year “despite a years-long decrease in the percentage of people celebrating the holiday”. The survey found that the respondents who will be celebrating Valentine’s Day, would be spending an average US$161.96 this year; higher by 13% from last year’s average spend of US$143.56. This year’s projected figure also tops the previous record of US$146.84 set in 2016. Total spending is expected to be US$20.7 billion, which marks an increase of 6% over last year’s US$19.6 billion and breaks the previous record of US$19.7 billion, also set in 2016. This year too, as in previous years, men emerged as the biggest spenders at US$229.54, up 20% from last year. That’s more than double the US$97.77 (down 1% from the previous year) than women said they would spend. Looking at expected spends by age groups, the survey found that those between 35-44 years are slotted to be the biggest Valentine spenders at US$279.14; followed by those between 25-34 years at US$239.07. “Both groups typically have more people to buy for including children and children’s classmates or teachers,” NRF explained. Also, gifts for pets continue to be popular, purchased by 20%. 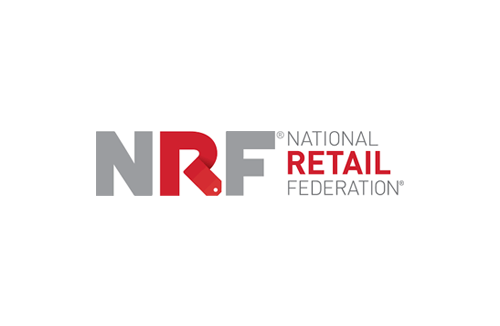 “Pet spending is expected to total US$886 million, up US$519 million since NRF first asked in 2008,” the organisation observed. Looking at total spend figures, NRF said those celebrating plan to spend US$3.9 billion on jewellery (given by 18% as gifts), US$3.5 billion on an evening out (34%), US$2.1 billion on clothing (18%), US$1.9 billion on flowers (35%), US$1.8 billion on candy (52%), US$1.3 billion on gift cards (%) and US$933 million on greeting cards (44%). Gifts of experience such as tickets to an event or a trip to a spa are desired/wanted by 40% and planned to be given by 25%. Department stores are the most popular Valentine’s Day shopping destination, visited by 35% of shoppers, followed by discount stores (32%), online (27%), specialty stores (18%) florists (16%), small or local businesses (14%), jewellery stores and specialty clothing stores (each 9%). Even among those who don’t plan to celebrate Valentine’s Day as such, 11% plan to treat themselves to gifts like clothing or jewellery and 9% plan to get together with other single friends or family, NRF found.